The son of a naval officer, Christopher Wilson was born in Lancashire and grew up in Bedfordshire. Despite a public school education he rejected the idea of university for a career in newspapers, starting on his local weekly, The Bedfordshire Times. Soon he graduated to Fleet Street where he worked first for the Daily Mail, then the Sunday Telegraph. He then moved to television, becoming ITV's first-ever environment correspondent and working as an on-screen reporter and presenter. 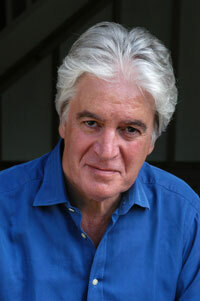 He made over twenty TV documentaries, many of them on environmental issues. He returned to Fleet Street as diplomatic correspondent of the Daily Express before taking over that newspaper's world-famous William Hickey column. Having established himself as a columnist he then wrote for The Times, the Daily Telegraph, and the now-defunct Today before becoming a full-time author. He lectures widely on royalty, and appears regularly on TV as an acknowledged expert on the royal family. In 2009 he was appointed Visiting Lecturer by Winchester University's MA programme in English Language.